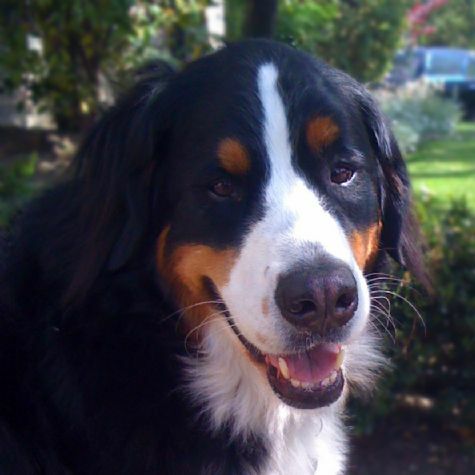 Elsie is a Bernese Mountain Dog. She grew up in New York City, where she made new friends every time she stepped onto the street. When we moved to California, we discovered a new way for Elsie to meet people: visiting hospitals and schools as a therapy dog team. Some of Elsie's favorite things to do are swimming, climbing hills, taking naps, eating people food, rolling a soccer ball back and forth, and playing in the snow. She also likes riding in cars.